The famous literary figure Don Quichotte would go absolutely crazy if he had witnessed the windmills at the Zaanse Schans. This popular tourist attraction is a sight to behold, and with the addition of the Zaans Museum you will get to know why windmills are so important in the Dutch culture. Experience this Dutch phenomenon in style with our PrivateTaxiTours.Amsterdam taxi tour. Read more about the Zaanse Schans on this page, or contact our helpdesk for the current rates and other information. De Zaanse Schans is part of Zaandam, a town near Zaandijk in The Netherlands. This area is famous for the exquisitely preserved windmills and old style Dutch houses. Most buildings you can see here did not originate in this area, but were transported here with lowboy trailers from 1961 up to 1974. In 1994 the Zaans Museum opened its doors, here you can learn more about our history with windmills. Actually there are seven different museums in this area including the Jasper House and the Bakery Museum. 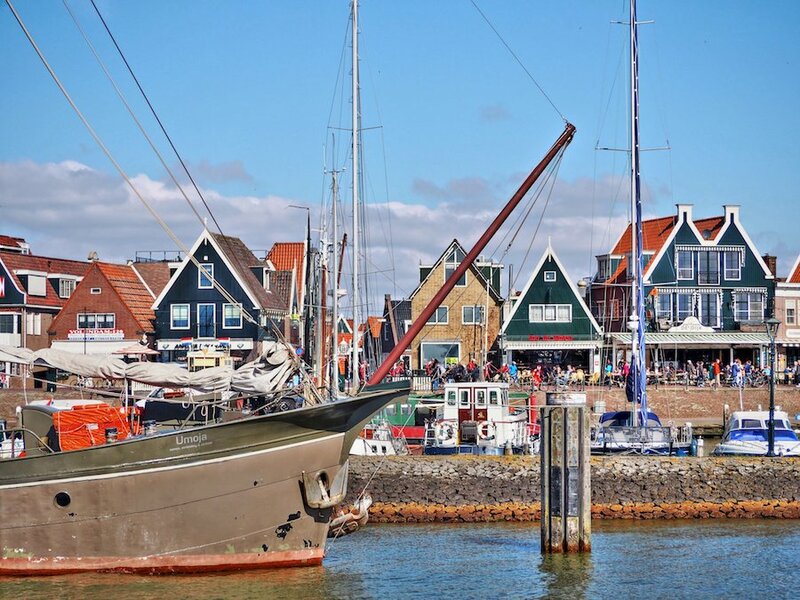 Not only is the Zaanse Schans a popular tourist destination, it is also an anchor point of the European Route of Industrial Heritage. The names comes from the river named “Zaan”, which functioned as a “sconce” in English or “schans” in the Dutch language, to hold back the Spanish troops during the infamous “Eighty Years War”. The windmills you can visit here were all build after 1574. There are different types of mills here for various purposes including a sawmill, mustard mill, a dyemill and an oilmill. Every mill has a unique name like “The Cat”, “The Cloverleaf” or “The Spotted Hen”. You can reach the Zaanse Schans very easily with the affordable PrivateTaxiTours.Amsterdam taxi tour for private travelers and for group tours. Check out the low prices at PrivateTaxiTours.Amsterdam for your trip to the Zaanse Schans and witness true Dutch history.